Lawrence Gene Carpenter, 72, of Centerton, AR, passed away at home on January 24, 2019, as a result of Parkinson's Disease. He was born March 23, 1946 in Siloam Springs, AR, to Richard & Roma Jean (Bennett) Carpenter. Lawrence's mother delivered him by herself because she was home alone with her eleven month old baby, James. Thirteen months later his baby brother Donald was born. The following year, the family was in a car wreck. Two year old Lawrence was thrown through the windshield causing facial and head injuries and their dear mother Roma Jean was killed. After tumultuous 4 years with their father, DHS took the children. Wanting to keep the three brothers together the DHS lady & boys drove all day making many stops to see if someone would take all three boys. Many said they would take one or two, but not all three boys. Finally they came to the home of Katherine Stein, a widow, in Centerton, AR. She agreed to take all three boys. She cared & provided for them, loved them, taught them morals and responsibility and so much more. They never missed a Sunday at Centerton Methodist Church. Lawrence had an idyllic childhood playing from sunup to sundown with his brothers and friends in Centerton. As a teenager, Lawrence worked at the Corner Filling Station in Centerton, and hauled hay all over Benton County. When he turned eighteen he left Ma Stein's and went to live with his maternal grandmother Lillie Bennett in Springdale, AR. Later he came back to live with his foster mother Katherine Stein. In 1966, he met Geraldine Waddell at Bemco, Inc., where they both were working. They became very good friends, confidantes if you will. Their friendship eventually developed romantically and the fell deeply in love and were married July 27, 1968, at Vaughn Presbyterian Church in Vaughn, AR. Geraldine's parents Gerald & Naomi Waddell quickly came to love Lawrence as if he was their own son. Geraldine's little brothers Robbie & Ricky Waddell loved Lawrence so very much and he loved them as if they were his own children. After thirteen years of marriage, Lawrence & Geraldine were blessed with the birth of their first child, a son, Landon Rhett. Then six years later they were blessed with birth of their second child, a son, Jordan Reid. In 2015, they were blessed with their first grandchild, Lorelei Claire, daughter of Landon. 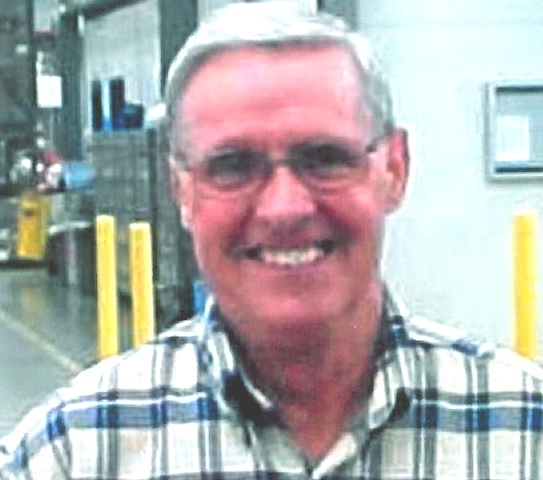 Lawrence retired in February 2016, after 40 years at Wal-Mart Print Solutions, which was called Benton County Publishing Company when he started, later the name was changed to Wal-Mart Printing & Mailing Distribution Center (PMDC), then finally to Wal-Mart Print Solutions. While working there Lawrence formed many close and lasting friendships for which he was very thankful. Lawrence had the most spontaneous quick wit, which provided a lifetime of laughter for family, friends, and even strangers. He was a very considerate, caring, congenial, charismatic, charming, and hard working person, to name only a few of his great characteristics. He sang beautifully and could whistle any song. He loved hot summer days. He said the sun felt so good. What he enjoyed most was working on and the upkeep of his eight acres. He could and would work outside all day on hot days. He often said if he could die while working on his eight acres he would be happy. He could do anything he set his mind to and do it well. The recreational activities he most enjoyed were golfing & kayaking. Lawrence was a member of Vaughn Presbyterian Church, where he was an elder and sang in the choir and the men's quartet. Lawrence was preceded in death by his parents, Richard & Roma Jean Carpenter; his foster mother, Katherine Stein; and his brother, Donald Carpenter. Lawrence is survived by his wife of 50 years & 6 months, Geraldine; two sons, Landon Rhett Carpenter and granddaughter, Lorelei Claire Carpenter of Centerton, AR and Jordan Reid Carpenter and wife, Kjersti of Nashville, TN; a brother, James Carpenter and wife, Sue of Springdale, AR and their four daughters, Tina Edwards, Paula McLaughlin, Cynthia Blakemore, and Melissa Newkirk; his brother-in-law, Robert Waddell and wife, Kristi of Springdale, AR and their two sons, Jason and Christopher; his brother-in-law, Major General Rick Waddell and wife, Donna of Washington, D.C. and their children, Gerald, Michael, and Katherine; great and great-great nieces and nephews, as well as many dear friends. Lawrence was very much loved by his family and friends. He will be greatly missed! Special thanks to hospice nurse Amber Reed, hospice aide Renata, and to all the staff at Circle of Life Hospice Legacy Village, Bentonville, AR. Memorials may be made to Vaughn Presbyterian Church, 7658 SW Regional Airport Blvd., Bentonville AR 72712, or the Literacy Council of Benton County, 205 NW A Street, Bentonville, AR 72712. Visitation will be held from 5-8 p.m., Friday, February 1, 2019 at Stockdale-Moody Funeral Services, 2898 W Walnut, Rogers, AR. Funeral service will be held at 10:00 a.m., Saturday, February 2, 2019 at Vaughn Presbyterian Church, Vaughn, AR. Burial will be at Barron Cemetery, Vaughn, AR. Pallbearers are Lawrence's best friend Dan Shub, Ron Ward, Rick White, Rusty Sorrell, Jeff Davis, and John Case.